Shipping a car is not an easy task, especially when it is about transportation of classic or antique autos. If you want to avoid different kinds of problems during shipping, you should make a reasonable choice. Also, choosing a respectful company is one of the most important things you need to do the first. Auto shipping professionals will save you a bit of elbow grease, but they cannot make decisions instead of you. 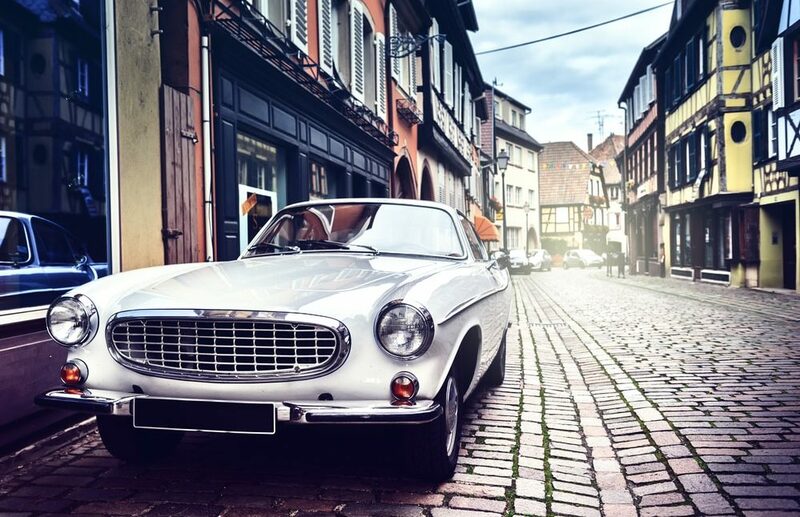 If you want to go without any accident and breakage during transportation, you need to get as much information about classic and antique car shipping as you can. You should know such points as what open and enclosed car shipping is used, and why the last one is commonly used for old and expensive auto shipping. You will not be able to do your best without detailed information about each of them. Surrounding dirt. If you take an advantage of this type of car shipping, you should be ready that there will be no protection from the surrounding dirt, road mess. Weather conditions. Your car will be not protected from strong wind, heavy rain, hail and other weather conditions. No guarantee. Your car may be damaged during transportation because of the other cars. The car can be scratched and dented and you won’t be able to receive any refund. In the case, you need a fast shipping service this one will not satisfy your needs. It stands to reason, that the trailer needs to load, ship and unload not only your car but the others too. So, as you can see, this type is not perfect for transportation classic or antique autos, because there is no good protection from damages, weather conditions, surrounding dirt, road mess and so on. Moreover, this kind of service is not the fastest one. No outdoor dirt. There will be no road dirt and mess during car shipping process. Thanks to the enclosed car shipping, your car will be protected with four walls and the ceiling on the top. No weather influence. The ceiling, which is situated under your car, protects from any weather condition. No matter how strong the wind is if your car is covered. Without scratches and dents. Your car will be located at a distance from the other vehicles to avoid scratches, dents and other damages during the transit. Timeliness is in the top priority. You get what you pay for. That’s why the enclosed service is not the cheapest one. Well, the enclosed car shipping service gives the customers an opportunity to take an advantage of the perfect vehicle transportation. It allows you to get rid of the fear of damaging your car by weather conditions, road mess and other types of outdoor influence. Thereby, we can make a conclusion that enclosed type suits best in cases you have an expensive, antique or classic car. Why Is the Enclosed Type Better? Every auction prefers enclosed car shipping service more than the open one. Not only auctions choose it, but also different respectful auto dealers. Why do they prefer the enclosed shipping? They choose this type because shipping a classic or antique car is a delicate deal, which requires a good care. It can be easily damaged and it does not depend on how well that car is kept. Time takes its toll. And the enclosed trailer will do its best to take care of an old car. Wash your car. Wipe all the dust inside. Make your old auto look as good as possible. Wash the windows and mirrors. It is necessary because it gives an opportunity to inspect your car in the best way. If there are some unwashed places, an inspector will not be able to make a good review. The inspector has to provide you with pick-up and delivery inspection reports. Check your vehicle with a mechanic. You should know whether your car is running or not. If it is running, you may book the common service. If it is not, you need to book a trailer with a winch or forklift. However, if you need a carrier with a winch or forklift, you will pay some extra money. So, it is in your interest to have a car which moves on its own power. Remove all detachable parts. You should draw everything you can out of your car. It is important to protect your car from any possible damages inside. Ask a member of the chosen car shipping company about classic car transportation services. Most companies have such an option and can provide you with all the necessary information you need to know. When you need to have your vehicle shipped, you should realize that it will demand high costs and a lot of efforts to be successfully shipped. But it is more likely, that you do not expect how much money and efforts you should make to transport a classic or antique car. Antique car transportation requires a little bit more care that shipping of a conventional modern car. That’s why you need to book the enclosed car shipping service in order to avoid any damages on the trip. Furthermore, choosing a good company plays an important role. You need a reliable one which can provide you with high-quality professionals.